I've been furiously hammering jewelry in my little North Little Rock studio this spring and feeling majorly inspired. Here's what's new at Bang-Up Betty! 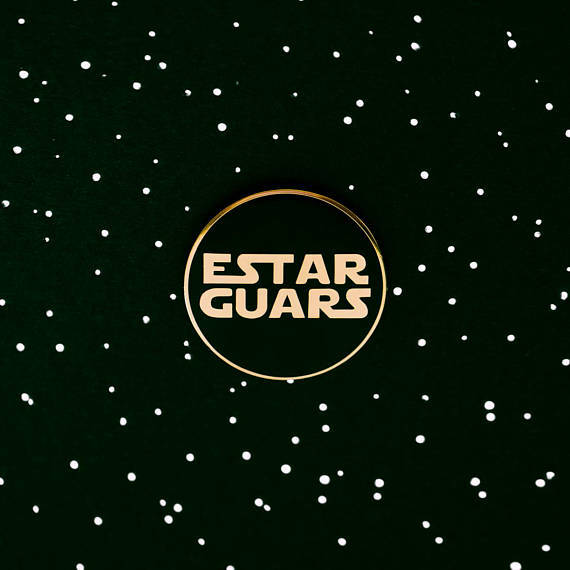 Flip through the gallery below to see all 15 new styles, including handmade necklaces and bracelets, enamel lapel pins, feminist bumper stickers and more jewelry and apparel made in Arkansas. If you're like me and standing in line at big-box stores at 5 a.m. on Black Friday fills you with deep sadness and existential dread, you're likely still holiday shopping and looking for a much more fulfilling, joy-inducing way to complete your annual gifting. 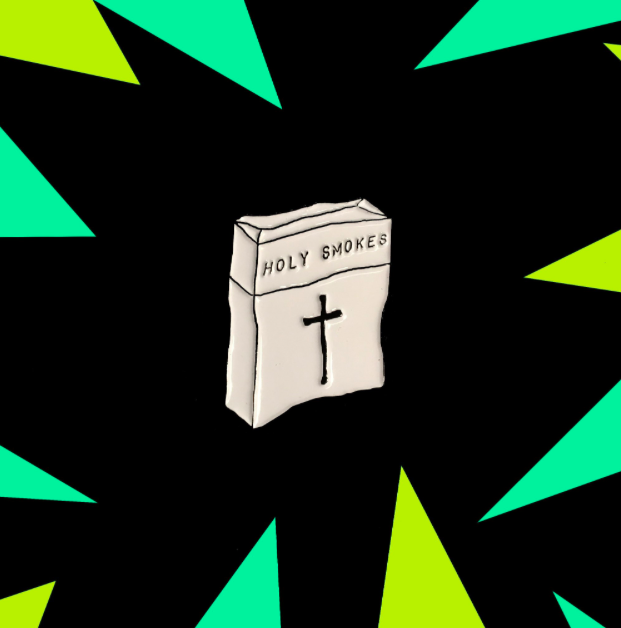 This gift guide checks two important boxes on my shopping requirements list: 1.) Everything here is either handmade or created by a small business run by badass people (I have met or interacted with all of them and can confirm this), and 2.) Everything on here is badass. For the plant lady or Golden Girls fan in your life. Seriously, have you ever seen anything more beautiful than this?! For anyone who is on Team Tyrion or is a wise drunk. 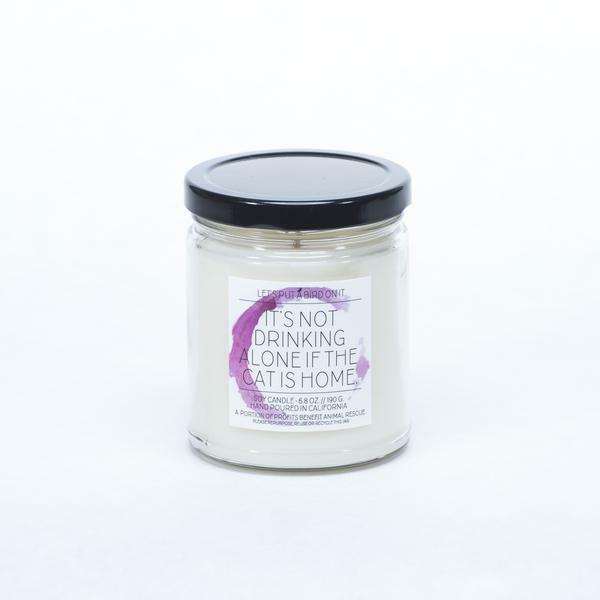 Speaking of drinking, this candle really hits the spot for cat ladies like me. These are brand-spanking-new and great for men and women, because we should ALL be smashing the patriarchy. Speaking of gifts you should DEFINITELY open in front of your relatives, this bubbly Jesus comes in print and t-shirt form and will make you feel blessed. Everyone has a Harry Potter fan in their life. I got these for the lil Hermoine in mine. Get them an early membership to the club we'll all eventually belong to. For your newly single friend. I'm obsessed with everything YesStitchYes. She also stitched the Mary J. Blige hoop at the top of the page. 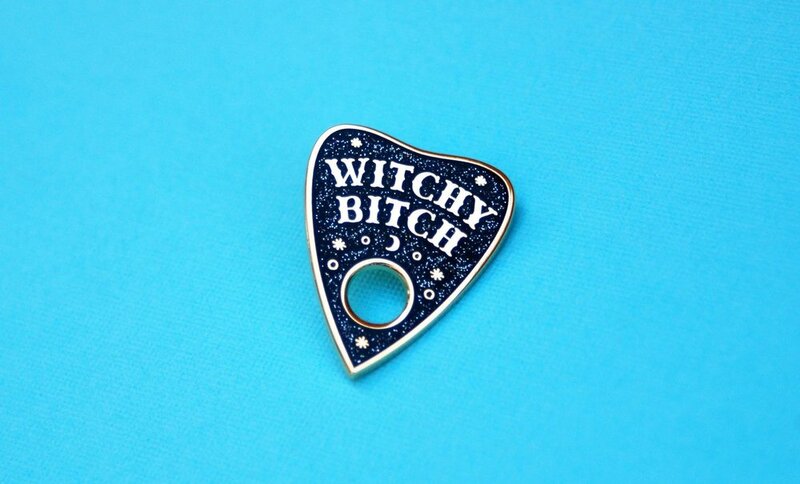 For the witchy woman on your list. This gift is Krampus-approved. Speaking of witches, I just picked this up at the Wampus Wonderland and I'm under its spell. Applicable if they have kids or a terrible job. Light one up for the big guy's birthday. 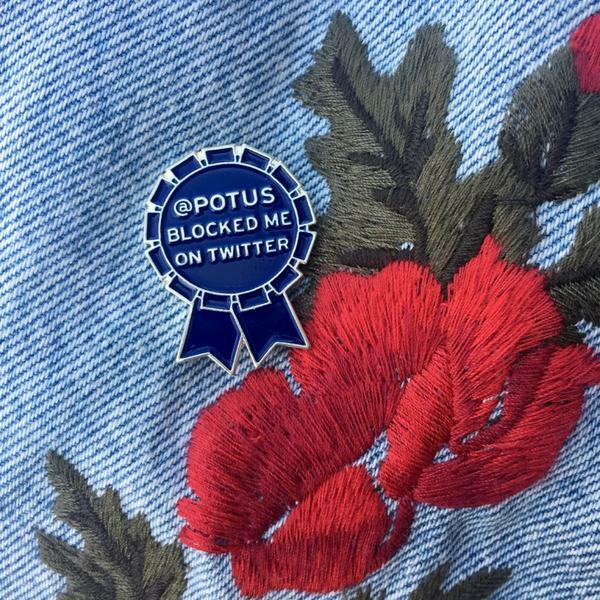 Everyone at the party is gonna fight over that snowflake button. 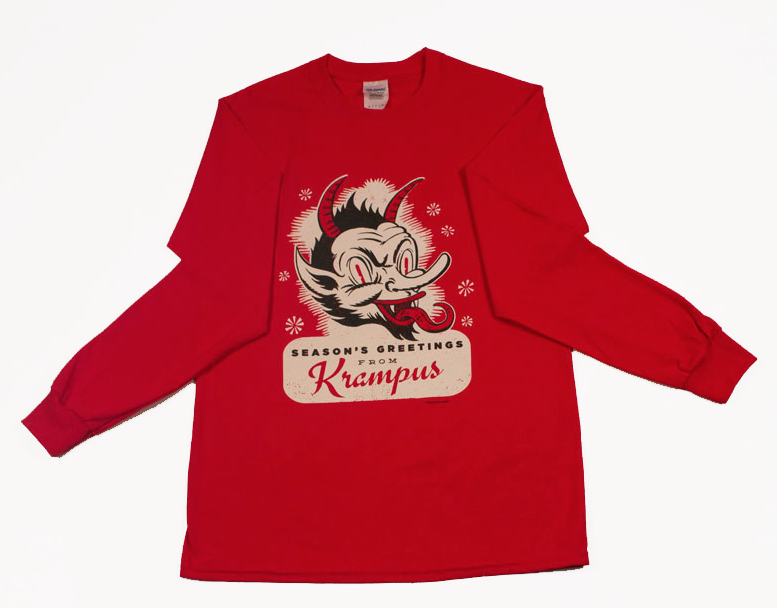 Keep the kids in line with the constant fear of Krampus. 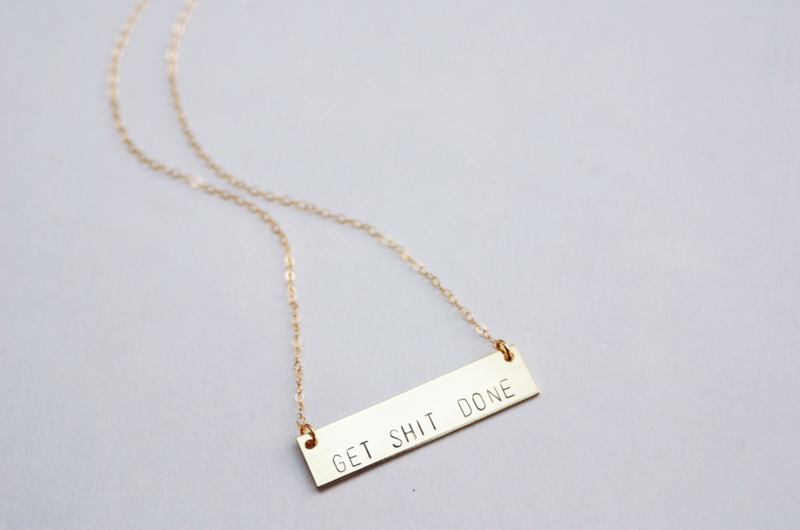 For the go-getter in your life.